Help save the princess in Steam Tower Slots! It's a Victorian themed game, which generous bonuses, FREE spins and more! 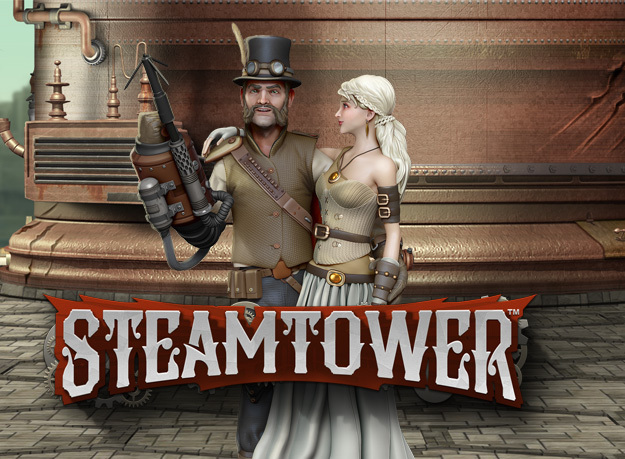 Steam Tower Slots is a popular Netent game, with graphics that will take you back to the Victorian era. The reels are filled with dragons, princesses, mustached men and more. Climb the tower to rescue the princess & win! Get 10 FREE spins when the Stacked Wild covers a reel, plus there are multiplied wins and more!